McQueen cites federal and state law requiring test administration. Here’s the deal: The entity that determines the penalty for violating state law regarding testing is the Department of Education. The penalty they can use is withholding BEP funds. This is the threat they used back in 2016 to force districts to back down on threats to halt testing then. Let’s be clear: The Tennessee Department of Education is the enforcer of the state testing mandate. The DOE could refuse to penalize districts who paused testing OR the DOE could take the suggestion made by Dorsey Hopson of Memphis and Shawn Joseph of Nashville and just hit the pause button for this year and work toward an effective administration of testing for 2019-20. That’s right, the federal government tends to leave decisions regarding punishment up to the states. Of course, Tennessee could also request a 1-year waiver of ESSA requirements in order to further clarify the need to get testing right. In short, the only problem now is McQueen’s unwillingness to admit failure and take aggressive steps to make improvement. McQueen also says that halting testing is “inconsistent” with Tennessee values. While in McQueen’s world, halting testing is inconsistent with our state’s values, lying about why testing isn’t working is apparently perfectly fine. Oh, and playing a game with testing vendors? No problem! McQueen claims that we need the tests to help identify gaps in education delivery in traditionally under-served students. Yes, having a working annual assessment can be a helpful tool in identifying those gaps. But, when the test doesn’t work — when students get the wrong test, when the testing climate is not consistent — then we get results that are unreliable. That helps no one. What should be consistent with Tennessee values is taking the time to get testing right. That means ensuring it’s not disruptive to the instruction process and the results are useful and returned to students, teachers, and parents in a timely fashion. Will McQueen’s letter deter other district leaders from speaking out on TNReady? Will there be additional fallout from the DOE’s failure to effectively administer Pre-K/K portfolios? As the state continues to experience challenges with TNReady implementation, districts are speaking out. In October, the Williamson County school board adopted resolutions asking for changes to how the state will assign letter grades to schools and asking that TNReady scores not be included in report cards for students in grades 3-5. This week, Knox County adopted three resolutions relevant to the current testing troubles. All three were sponsored by Board Member Amber Rountree. The Knox County Board of Education hereby urges the Senate to amend legislation SB 535 in the upcoming session by assigning a school level designation that aligns with the district designation, rather than assigning a letter grade to each school; and BE IT FURTHER RESOLVED, The Knox County Board of Education hereby urges Governor Haslam, the State Board of Education, and the Tennessee General Assembly to consider a moratorium in using any school or district designation based on data obtained via the TNReady assessment which was administered in School Year 2016-17. The Knox County Board of Education opposes the use of TCAP data for any percentage of teacher evaluations and student grades for School Year 2017-2018 and urges the General Assembly and the State Board of Education to provide a one-year waiver, as was previously provided for School Year 2015-2016. WHEREAS, the Knox County Board of Education submits student scores on the Tennessee comprehensive assessment program’s grades 3-5 achievement test scores should not comprise a percentage of the student’s final grade for the spring semester in the areas of mathematics, reading/language arts, science and social studies. No word yet on a response to these two districts speaking out on the proper use of TNReady data. Amid the latest round of TNReady troubles that included both miscalculated student scores and errors in how those scores were used in some teacher evaluations, the House of Representatives held hearings last week to search for answers. On the same day of the committee hearings, Governor Bill Haslam let everyone know that things were going well. Earlier in the day, Gov. Bill Haslam called the controversy overblown because this year’s errors were discovered as part of the state’s process for vetting scores. Here’s the deal: If this were the only problem with TNReady so far, Governor Haslam would be right. This would be no big deal. But, you know, it’s not the only problem. At all. Let’s start from the beginning. Which was supposed to be 2016. Except it didn’t happen. And then it kept not happening. For full disclosure, I have a child who was in 4th grade at the time of what was to be the inaugural year of TNReady. The frustration of watching her prepare for a week of testing only to be told it would happen later and then later and then maybe never was infuriating. That adults at decision-making levels think it is just fine to treat students that way is telling. It also says something that when some adults try to stand up for their students, they are smacked down by our Commissioner of Education. 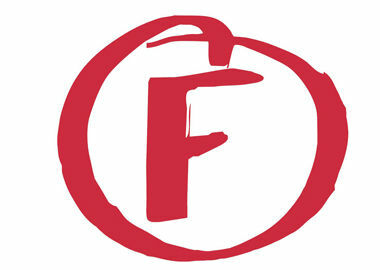 As for the aforementioned Commissioner of Education, some may remember the blame shifting and finger pointing engaged in by Commissioner McQueen and then-TNReady vendor Measurement, Inc. That same attitude was on display again this year when key deadlines were missed for the return of “quick scores” to school districts. Which brings us to the perennial issue of delivering accurate score reports to districts. This year was the fourth year in a row there have been problems delivering these results to school districts. Each year, we hear excuses and promises about how it will be better next year. Then, it isn’t. Oh, and what if you’re a parent like me and you’re so frustrated you just want to opt your child out of testing. Well, according to Commissioner McQueen and the Governor who supports her, that’s not an option. Sadly, many districts have fallen in line with this way of thinking. So, you have a system that is far from perfect and based on this system (TNReady), you penalize teachers (through their evaluations) and schools (through an A-F school grading system). Oh yeah, and you generate “growth” scores and announce “reward” schools based on what can best be described as a problematic (so far) measuring stick with no true comparability to the previous measuring stick. Anyway, Bill Haslam is probably right. This is fine. With legislative hearings into the latest round of TNReady troubles happening this week, education advocacy group CAPE is circulating a petition asking for a pause in the use of TNReady scores to penalize teachers and students. The move comes just after two other groups made a similar call last week. Whereas TN Ready testing failed in 2016, causing confusion and disappointment among students, teachers, families and administrators, and resulting in no data for the academic year for most students and teachers. Therefore, be it resolved, that we the undersigned call on the TN State Legislature and TN Department of Education to suspend use of testing data for consequential decision-making until after the 2019-2020 school year. We further call for a three year collaborative study —involving the TN legislature, the TN Department of Education, teachers and their professional organizations, school boards and district administrators, and parents of public school students — to determine the most productive and constructive path forward to ensure real and reasonable accountability for educational outcomes in the service of the best possible education for Tennessee’s children.